This entry was posted on November 10, 2015 by 034Motorsport. 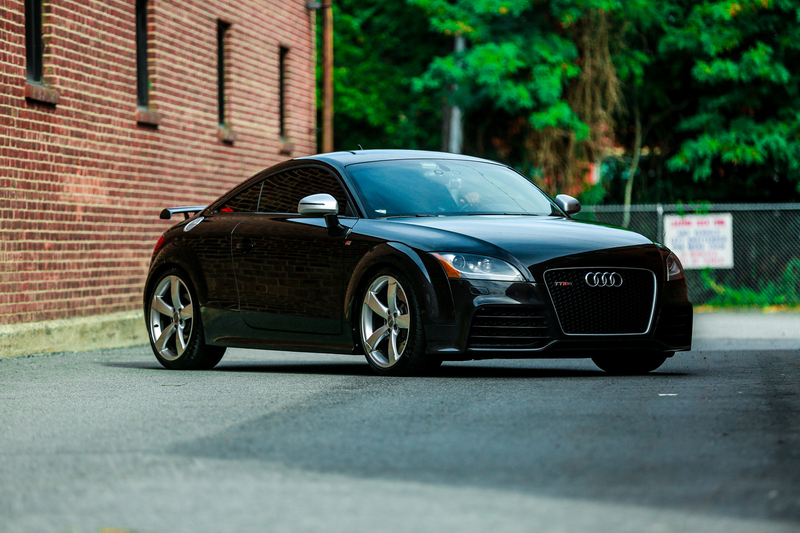 Keith purchased his Panther Black Audi TT RS in May of 2014 after seeing Matt Farrah's review of a modified example on /DRIVE. Initially drawn to the TT RS by it performance, rarity, and tunability, Keith decided to use his car for both daily-driving duties and weekends at the track. The need for functional upgrades which are effective on the street and track - paired with Keith's desire to push his car's performance to the next level - quickly brought him to 034Motorsport. 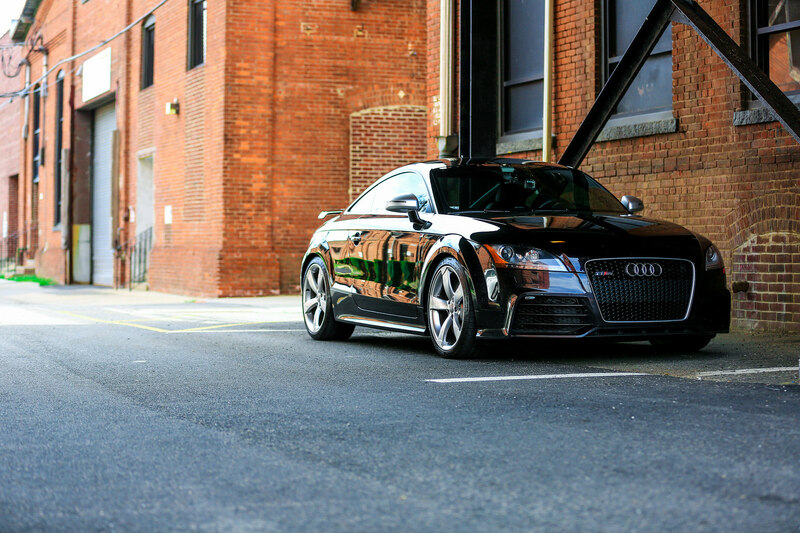 034Motorsport has been modifying turbocharged 5-cylinder Audi engines for over a decade, and developing performance products and tuning for the Audi TT RS since it first arrived in the USA. In addition to purchasing one of the first RS models in North America back in 2011, 034Motorsport also took delivery of the first and only Audi TT RS VLN Race Car to be delivered to the US from Germany, which later won the 25 Hours of Thunderhill. Needless to say, Keith had made it to the right corner of the internet! 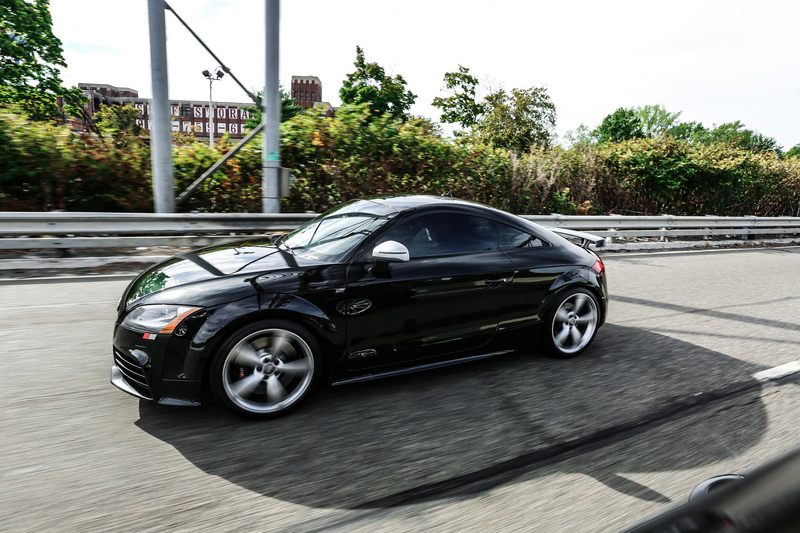 Keith started his build at Drive Auto Works in New Jersey with bolt-on upgrades to improve his TT RS's handling and power output. 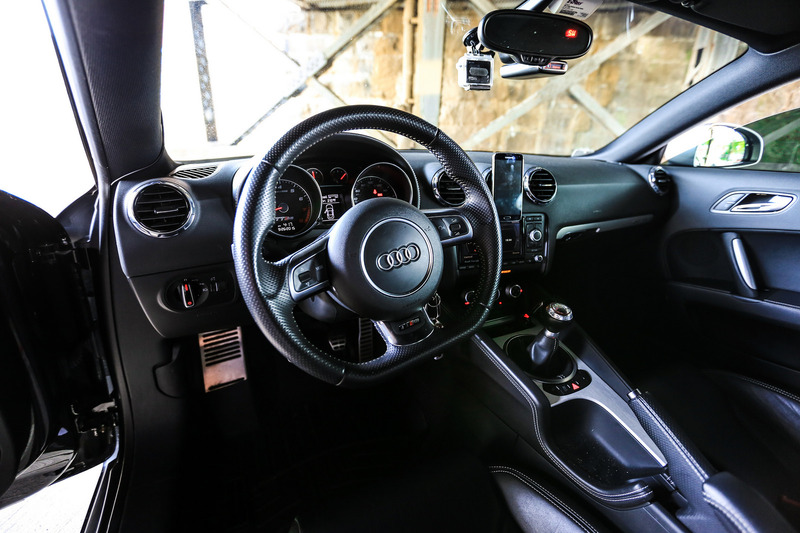 While the TT RS is already an agile platform, it shares a few components with the base model TT which can be upgraded to improve steering feel and handling dynamics. To counter body roll and reduce the platforms natural tendency to understeer, Keith installed a 034Motorsport Adjustable Solid Rear Sway Bar and 034Motorsport's Spherical Rear Trailing Arm Bearing Kit. He also added a Density Line Dogbone Mount Pair and Billet Torque Arm to reduce unwanted drivetrain movement and improve shifting precision. 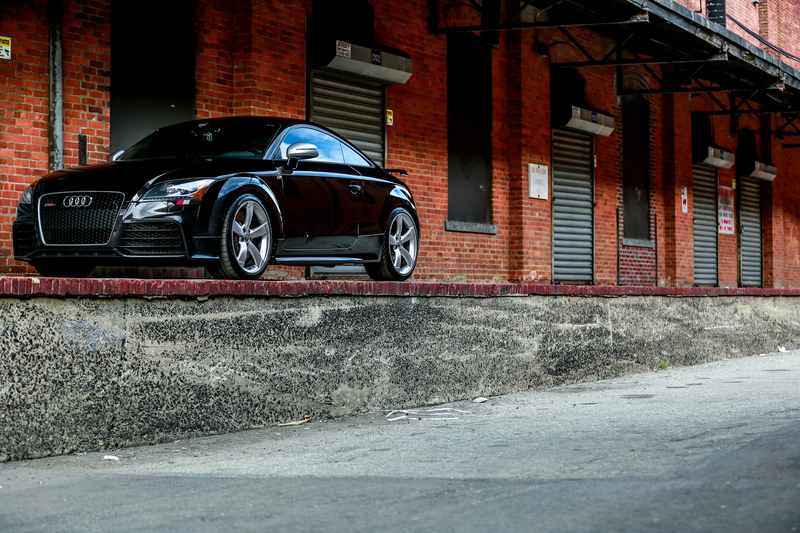 With suspension and drivetrain upgrades taken care of, Keith turned his attention to the TT RS's award-winning 2.5 TFSI turbocharged inline-five engine. Keith installed an upgraded intercooler, downpipe, and air intake, as well as a Borla ATAK Cat-Back Exhaust System to free up some horsepower and help keep IATs low when pushing the car hard on track. He also had the car flashed with APR's Stage 2+ ECU Upgrade. While the added power was nice at first, Keith soon became accustomed to it and was looking for more. 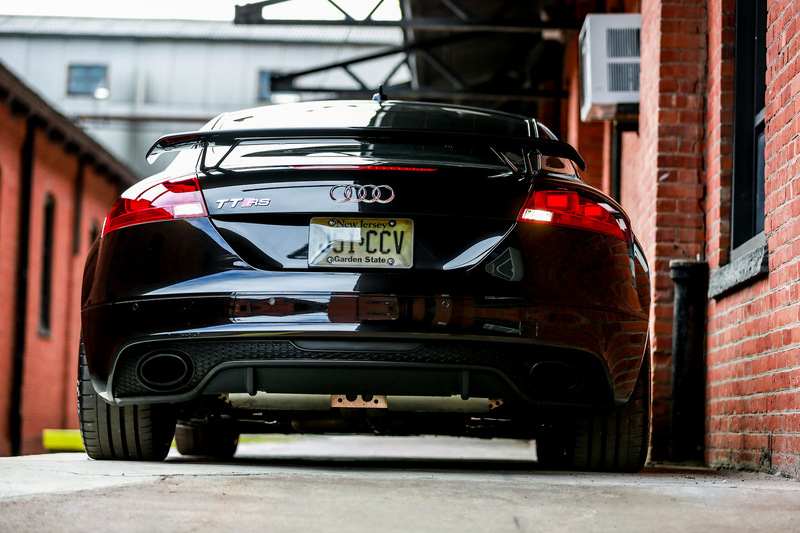 Around the same time, 034Motorsport released the RS500 Audi TT RS Turbo Kit, which was featured on The Smoking Tire. Yielding drastic increases in midrange and top-end power over the stock turbo, as well as driveability and throttle mapping improvements over APR's Stage 2+ tuning, the RS500 kit was an ideal choice for Keith's TT RS. Featuring a LOBA LO500P Hybrid Turbocharger with Billet Compressor Wheel, LOBA High-Pressure Fuel Pump Upgrade, and 034Motorsport Performance Software, the RS500 Turbo Kit is capable of delivering up to 500 crank horsepower and 520 foot-pounds of torque. While the stock turbo starts to drop off at ~5,500 RPM, the RS500 Turbo Kit continues to build power all the way to the new 7,100 RPM redline without sacrificing spool or low-end torque. After weighing his options for more power and deciding that the RS500 setup would provide the best combination of gains, value, and reliability, Keith reached out his friends (and 034Motorsport Dealers/Installers) at Drive Auto Works to order the kit and schedule the install. The experienced and highly-skilled team there did an excellent job installing the hardware and flashing the new software onto Keith's ECU using the PL34 Hand-Held Flash Loader, which is included with ever RS500 Turbo Kit. Keith's TT RS is now significantly faster and easier to drive, without sacrificing the 2.5 TFSI engine's fantastic powerband and reliability. We'll let Keith tell you more about his car and what he thinks about the RS500 Turbo Kit in his own words below. 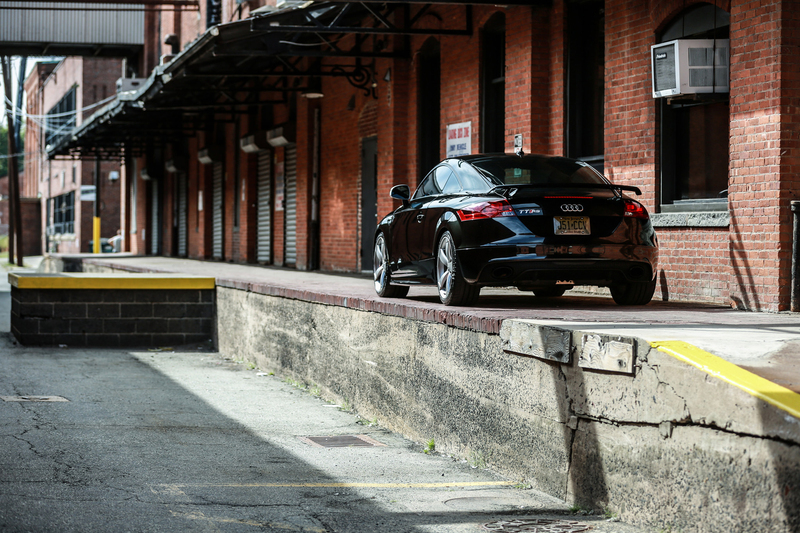 When did you first purchase the car, and what made you choose the TT RS? "I purchased the car in May of 2014 shortly after seeing the original Smoking Tire review for the Stage 3 APR TT-RS. I had never seen a TT-RS before and just looking at the preview image on the video, I thought the car looked ferocious so it was basically love at first sight. Learning from the video how powerful the car could be modified to be, how agile it could handle, and frankly how rare it was, I was hooked. I think it may have been less than a week between discovering the car to purchasing it and I haven’t regretted the decision for a moment." "She’s primarily my daily driver but I use her for track events too. Living with the available power day-to-day really isn’t an issue for me. If you’re not looking for the power you don’t really have to worry about it forcing itself upon you, but I would say the feedback on the pedal is constantly reminding you it’s there which I like a lot." What were your goals when modding the car? "I think a big part of me just wanted to be the fastest car on the block. I think it’s natural being a tuner always looking to push to the next level. I would make a modification and in no time be thinking 'What’s next? How can I make it better?' I think after seeing how capable the car was and realizing the potential it had, my goal became making sure that potential was realized." What made you choose the RS500 Turbo Kit, and does it live up to your expectations? "Simply put, the decision to buy the RS500 kit was a bang for buck win. I previously took the car to a Mustang Dyno while running APR Stage 2+ and the results came back with 335 AWHP. Since I knew how expensive the APR route was to go Stage 3, seeing this kit at a more reasonable price point that would bump me up to 413 AWHP on 100 octane; it was a done deal. Now that I've put somewhere around 6000 miles on the kit, I’m still very impressed with the spool time, power delivery, and jump in overall performance. It met my expectations and I’m looking forward to seeing what’s next for you guys." How does the RS500 powerband compare to the stock turbo one? "Simply put, it hits harder and lasts longer. Also, I really get a kick out of the last 1500 RPM because it definitely does make power all the way to redline. I think you guys did a good job sorting out the sport mode with the tune as well because I always felt the stock sport mode was a bit too anxious. The sport mode power band is less peaky and shifts are smoother which is probably what I should be using on the track but I've got to be honest, I've become addicted to the torque happy default driving mode so I usually leave it there. " Is there anyone you'd like to thank for their help with their project? 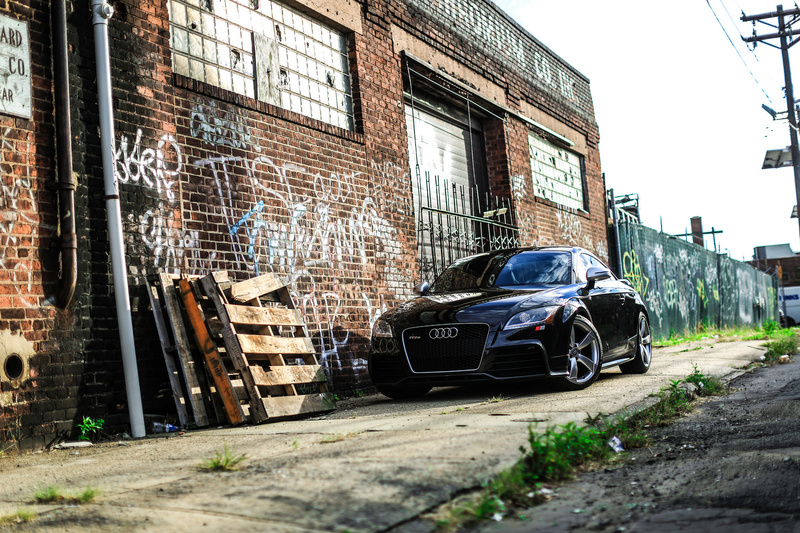 "The team at Drive Auto Works for all of the work they've done on the car, my team ‘Audi Sport Club NYC’ for keeping me motivated, and my friend Mike Bruno for all of the awesome automotive photography!" See more photo's, videos, and updates about the car by following me on Instagram @ Active_Defense_RS. Thanks! Do you have any top speed or 0-60 #'s? We don't have top speed numbers for this kit, and it's meant to be a track-oriented upgrade, not necessarily a top-speed or massive-horsepower setup. 0-60 numbers coming soon! I have a 2013 TTRS that 's currently stock. I' m interested in the stag 2 kit from 034. What is the cost for the install and will the car pass CA SMOG ? Hi Jim! Thank you for the interest in our tuning. Stage 2 is not CA smog-legal because it requires an aftermarket downpipe. You could benefit from Stage 1 or Stage 1+ (HPFP) Performance Software, or run this RS500 Turbo Kit with the stock downpipe to pass CA smog. We'll have Adil from our Service Department contact you via email with more info including labor costs for whichever route you wish to go. Can I please get pricing for this full kit installed? Someone from our Service Department will be in touch with your shortly! Ok, sound like a great kit. With the new TTRS coming out, what are the perf specs of your kit to compare with that please? Do we buy a new one, or find a low mileage one and install your kit? You can find the peak HP/TQ numbers for the RS500 Turbo Kit below. Hope that helps!